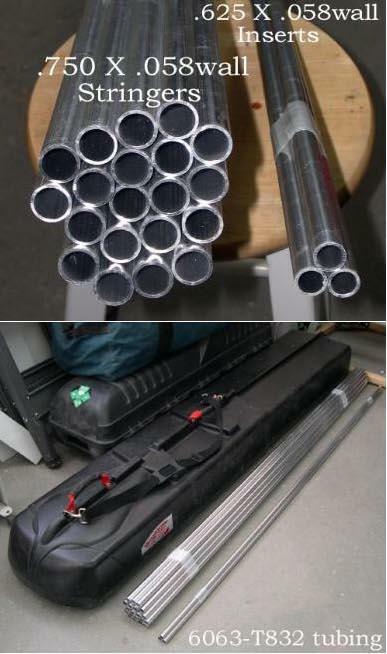 Both 6063-T832 and 6061-T6 tubing are used to construct the kayaks in this manual. Both grades are used by commercial builders, though 6063-T832 has a higher corrosion resistance. Both have a 40,000psi tensile strength. See Contacts page for suppliers. Stringers are .750 ( 3/4″) (19mm) X .049 (1.25mm) or .058 (1.47mm) wall tubing.